Serve delicious one dish dinners for 14 cents to 23 cents. 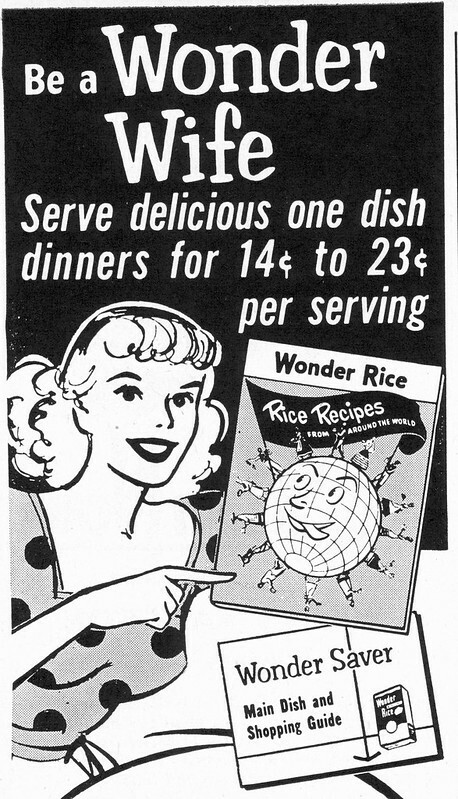 Wonder Rice. Rice Recipes.